So here it is the Liberty 'Stile' giveaway. I have a fat quarter bundle of the entire collection to give away and after much deliberation will split it into the four colourways. So basically four people have a chance to win a fat quarter set of eight colour coordinated prints. I think each of these bundles can be wonderfully combined with a stack of colored solids of your choice. Just to remind you these here are the colourways, from top right clockwise: blue, pastel, autumnal and bright. Leave me one comment only and please mention which of the colorways you would NOT want to have. I'll go first-and I'd take any of these beauties! Thanks for your giveaway! Love that you will have 4 winners!!! I like them all but if I had to choose one I like the least it would probably be the blues, although I'dlove these too! Thank you for the chance to win! I know you said it was your fav, but the blues do the least for me. I don't know why. LOVE those blues and those autunals. Actually, I could probably use all of them!!! Great giveaway. Thanks for the chance. Lol you do make me chuckle :) great giveaway Judith, the autumnal colour way does nothing for me. But the rest are all very pretty! Thanks for the giveaway - tough challenge though. I would reluctantly say that the blues do it the least for me. The autumnal colorway is the one that I don't care for. Thanks for thechance. What a great giveaway, thanks Judith. If I had to eliminate one bundle (which I don't want to do) then I guess it would be the pastel one. Err, that's really hard to choose! I think I could live without the bright set though. Thanks for the chance to win! They're all so pretty, it's hard to choose! But if I have to, I wouldn't want the blue set. Great giveaway. Blues are definately my favourite ...least would be pastel, no offence to the lovely liberty fabric but pastel just isn't my thing. What a great giveaway! I'd love any of them,,but pastels would be at the bottom of my list. Thanks for the chance to win. The more I see these in action, the better Ibthink they are when they're not all matchy matchy. Soo....I'd rather not win blues or brights! I love them all, but the Autumnal has a little too much red - but I wouldn't kick it out of bed! 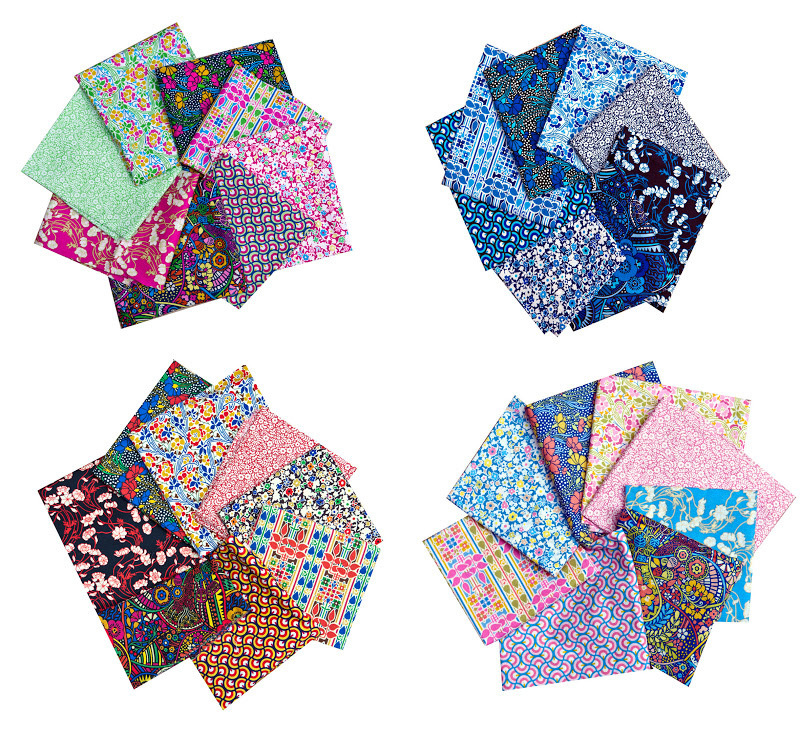 Liberty's new quilt fabrics a gorgeous, If pushed would say the reds were my least favourite. I think that I would have to leave behind the autumnal, also only if you make me! They are all lovely, but someone else might enjoy the autumnal look more than I. Thanks for the giveaway. Thank you for offering such a lovely giveaway. I love all of them but the one that is least me is the brights. A great giveaway! Thank you. I love the blues! I do not like the autumnal. I would not want to have the pastel bundle. Thanks for this great giveaway. What a great giveaway! I like them all but probably the pastels are my least favourite. Due to my economic situation every fabric will be most welcome. I cant afford not to like a bundle but if I have to choose I'd say i loke pastels a little bit less. LOVE them all! What a great giveaway Thankyou! pastel i would have to say but NOT WANT is too strong when talking about Liberty! :-) very generous of you! I love them all, they are not prints that I would normally buy but they are so pretty. I would overjoyed to win any of them, but if I have to pick a least favorite I would pick the more pastel lower right bundle. Ooh they are all lovely but if I had to eliminate one it would be the pastel one. Hard to not to choose any of them, but I would have to say the pastel. If i picked one to eliminate it would be autumnal, its still lovely but the others are HOT! I love them all, but if I have to pick, I will say BRIGHT. They are all pretty, but I would say the blue bundle. They are all lovely but if I had to choose then I would forego the Autumnal as the prints don't seem to 'click' as a bundle as much as the others. I would NOT want #3. Judith, what a generous thing, I would so love to win one of those, I really would. I love them all, I guess my least favourite is the autumnal one but I would be good with it too. Wow! I just stumbled over, from Flickr, with my morning coffee and what a treat I see! I love them all but I suppose the autumnal would be my least favorite, if that's even permitted! I would enjoy any of these bundles but Autumnal is my least favorite. Thanks for the great giveaway! I would NOT want to win the pastel. Great giveaway, tough comment. My least favorite would be the blue I guess. It is funny though cuz at one time, my whole house was a blue bomb. Light blue checked kitchen, blue couches in the living room.. now YUCK none! Really......? We have to reject one? OK breathe in, breathe out; it's the pastels. There I did it. Thank you! I am not a huge blue fan, so that is the one I wouldn't want. Love the autumn bundle. Thanks for a fantastic giveaway. Not a fan of autumn or autumnal colours but could be smitten with any freebie. I'm always amazed that even the unlikliest colours can look great in a well worked piece. I would be happy with any of them! I would seriously be over the moon with any of them!! My slightly less fave one would be the earthy/autumn one. Well, lets see, I guess I'd leave behind the bottom right bundle. The one with light pink and light blue. All are so very pretty. Thanks for the giveaway chance. Great giveaway but an impossible choice!!! The blue is my favorite, but, I like them all. Thanks for the chance, even if I didn't answer the question you asked. I am torn; I can't decide if autumnal is my most or least favourite; I guess if I have to choose one to "not like" it would be the pastels, but only because I don't have any babies to get making for! Love the way you switched up your comment request - I can tell you that the pastel would be my least favorite. I make a lot of baby blankets and even babies love bright eye popping colors. Here's hoping that I am luck enough to win, thanks for the great giveaway times 4! My least favourite is the autumnal bundle but I still think it's lovely! They are all lovely but my least favourites would be the pastels and the brights! They're all beautiful, but if I had to pick one I wouldn't want, it'd be pastels. Thanks for the chance to win. Whilst they're all lovely, I wouldn't want the autumnal one thank you. The Autumnal is my least favorite...but wouldn't turn any of them away!! thank you. They're all very nice, but I guess the Brights would be my least favorite. Thanks so much! Woo Hoo! A Liberty giveaway! Fantastic giveaway! They are all beautiful, but I would say Autumnal would be last on my list! Thanks! That's a really difficult question! I think I'd have to say pastels, because I think the patterns cry out for bolder colours, but they're all great really. Very hard to choose one I wouldn't want, but my least favourite would be the autumnal colourway. Thanks for the giveaway! Blues don't work well for me as I hardly ever buy blue unless it is a turquoise. Thanks for the chance to win! Blues don't do it for me. Thanks for the giveaway. My least favourite would probably be the pastels but I don't think I would struggle much to make it work either. 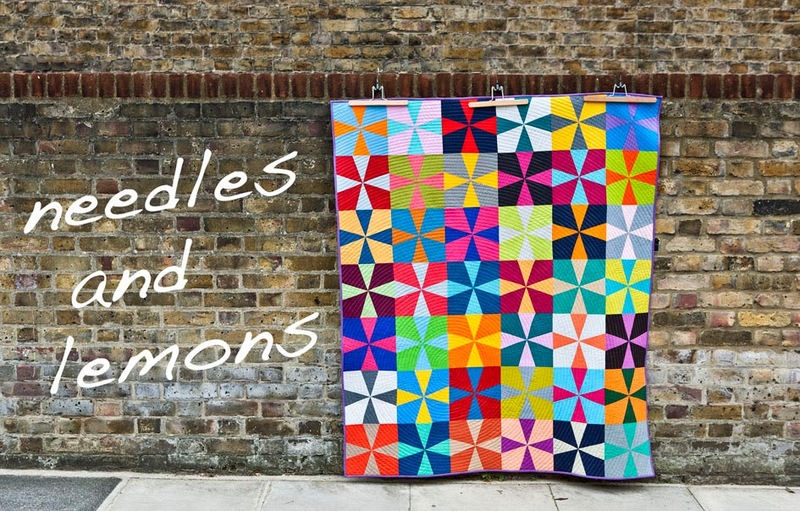 Gorgeous fabrics, what an amazing giveaway!! If I had to pick a least favourable it would be the pastels, but I truly love the look of them all!! least fav would be autumnal but they are all v pretty! the only one I'm not as fond of is the lower right colourway, the pastels, all the rest are lovely! Thanks for the give away! All four of the color ways are lovely, but the pastels are my least favorite. Great work on the quilts! Thanks for the giveaway. I love them all-- but suppose if I have to pick a least favorite it would be the brights. Thanks for the giveaway! I could totally live without pastel or autumnal. The other two I would have to buy. Why wouldn't I want all of them?????? This is just fab and Liberty is such wonderful quality fabric too. Thank you for the giveaway. They are all great... how could I possibly chose one I didn't want, when I want them ALL!! Well the least could be the pastel... thanks for the chance to win! E.T. They are all gorgeous, but if I HAD to pick one I did not love so much it would be the brights. Ha, da gönne ich mir mal auf deutsch zu schreiben :-) Vielen Dank für die Chance! Bin ein Fan von CR Mackintosh, da ist das giveaway genial! Die unteren beiden Farbgebungen finde ich nicht ganz so schön wie die beiden oberen... falls es mich denn treffen sollte ;) Viele Grüsse! They are gorgeous, my least favourite is the Autumnal, really tough choice though! I am so not fussy when it comes to liberty! But at a push I guess my least favourite would have to be the blues. Thanks for an awesome giveaway! I'd want them all! But I guess if I had to, I would reject the pastel colourway. NONE!!! Ok, I DON'T love the pastel quite as much as I LOVE the other three! Thanks for the giveaway! difficult question...i mean, we are talking about LIBERTY here! i guess i don't like the brights as much as the others. Thanks for the opportunity to win this beautiful fabric. What a great giveaway! Pastel is my least favorite. Thanks for the chance! Ohh, these fabrics are gorgeous! I think my least favorite color group is the Autumnal. If I had to pass on one, it would be Autumnal ... though I feel awful about leaving a negative comment. It's not that I don't like Autumnal ... oh, well. Mostly I would just LOVE to try working with some Liberty fabrics. I've so loved what I've seen online.